Last week, TAG Heuer unveiled its latest innovation: a hairspring made of a carbon composite invented, patented and produced by the Swiss watchmaker. The beating heart of the mechanical watch, the hairspring is the most difficult part to produce because its minute tolerances directly impact the overall precision of a timepiece. 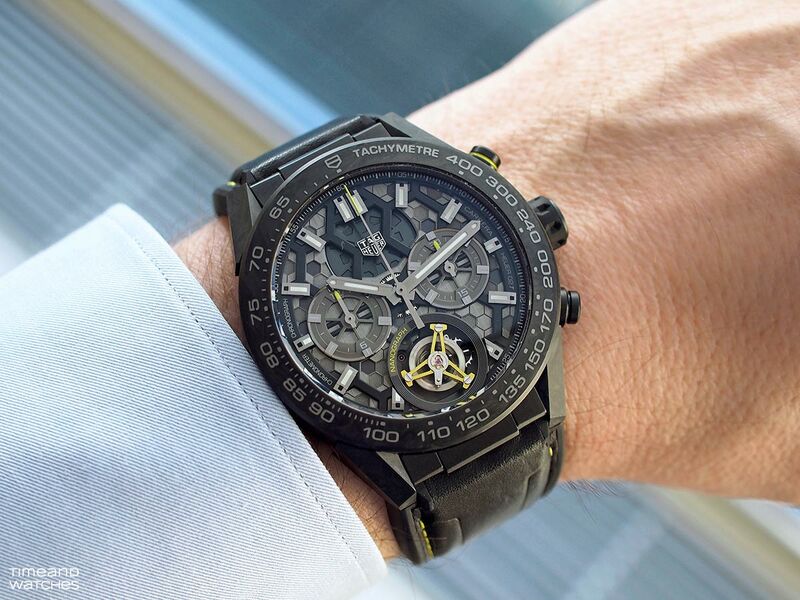 Guy Sémon, CEO of the TAG Heuer Institute, explained that the development of this world premiere took years, with the ambition of improving the performance and accuracy of mechanical watches. Designed and produced in TAG Heuer's in-house laboratory in La Chaux-de-Fonds, this carbon-composite hairspring is a first step that will lead to more in-house improvements in the process of being developed. 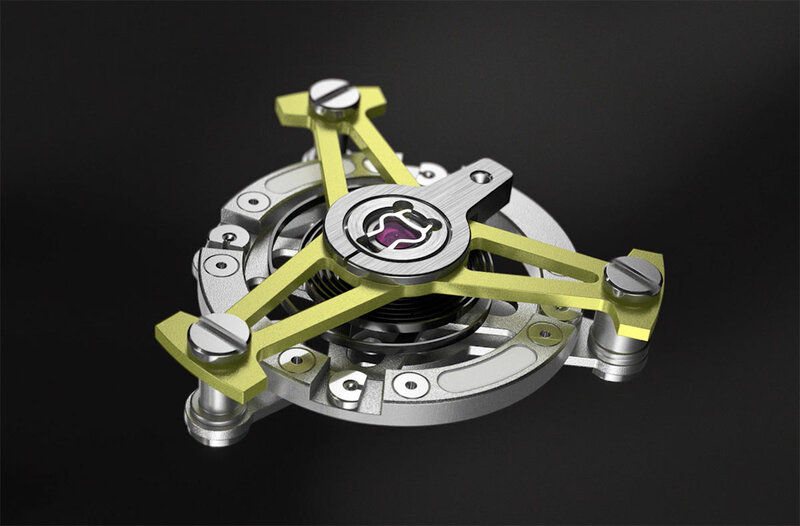 ‒ Optimal thermal behaviour and aeroelasticity have been achieved by pairing the carbon-composite hairspring with an aluminium alloy balance wheel. 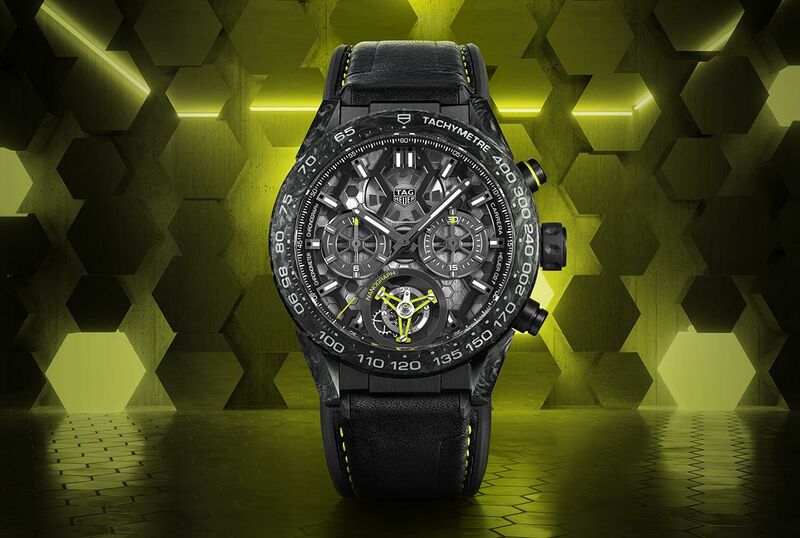 The first-ever carbon-composite hairspring has been integrated in the new Carrera Calibre Heuer 02T Tourbillon Nanograph, a 500-piece automatic chronograph which is fitted with a tourbillon mechanism and meets the official standards for classification as a chronometer. 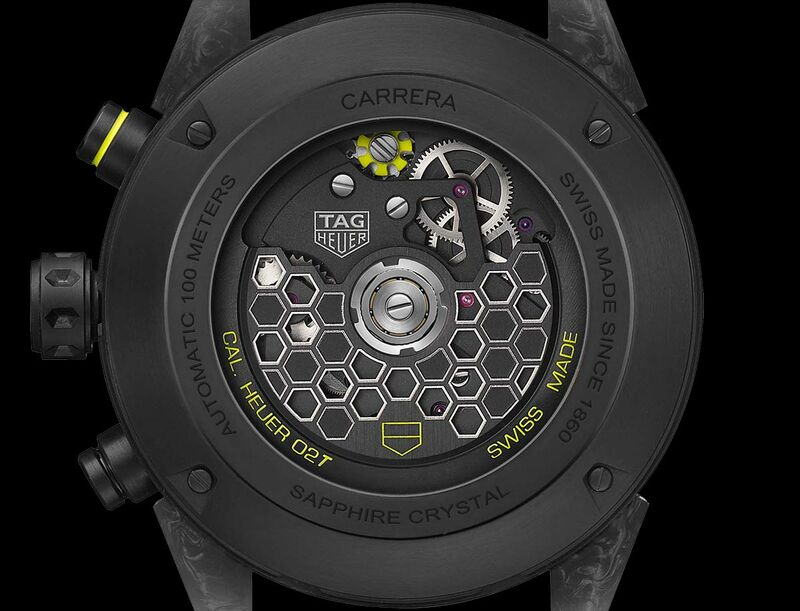 The nanoscopic (one million times smaller than a millimetre) hexagonal pattern of the hairspring’s carbon- composite material is mirrored in the design of the Carrera Calibre Heuer 02T Tourbillon Nanograph. 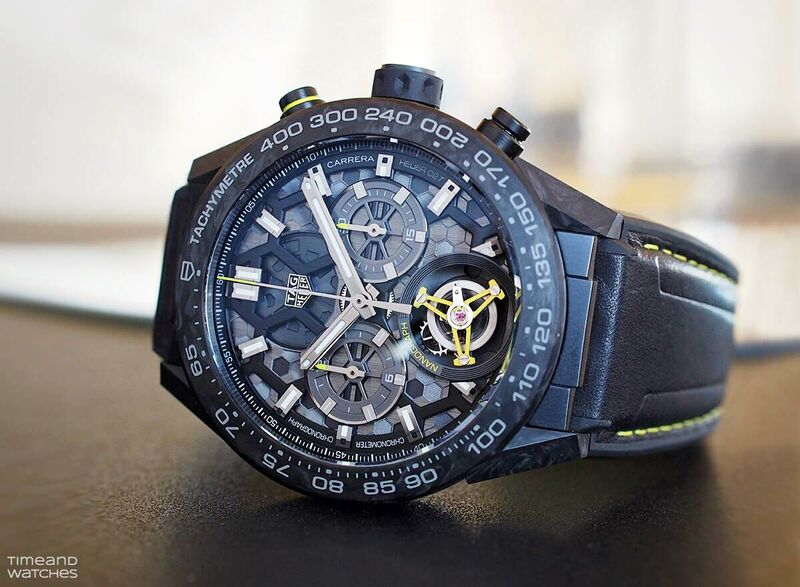 Aside from the carbon-composite hairspring, the most distinguishing feature of this chronometer-certified chronograph is its multilayer dial and movement combination, which features sandblasted and fine-brushed hexagons on the movement plate visible through an open-worked dial. The pattern can also be seen on the oscillating mass, which has been treated with black PVD and is visible through the sapphire caseback. 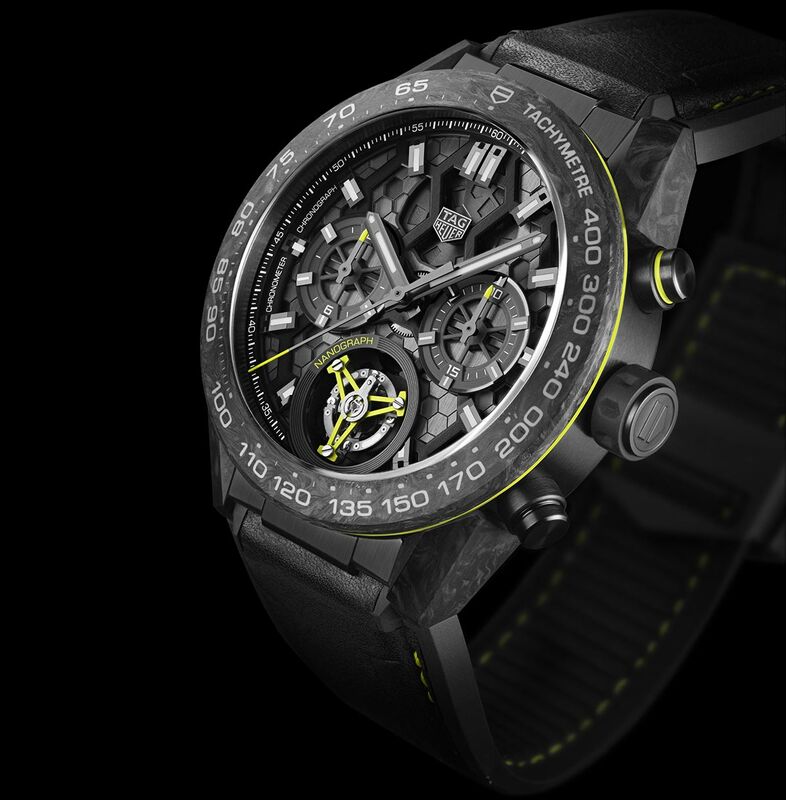 Beating at a frequency of 28,800 vibrations per hour (4 Hz), the movement offers a 65-hour power reserve. Several bright neon green accents, including the aluminium bridge and the inscription on the tourbillon movement, enhance the sporty character of the watch. 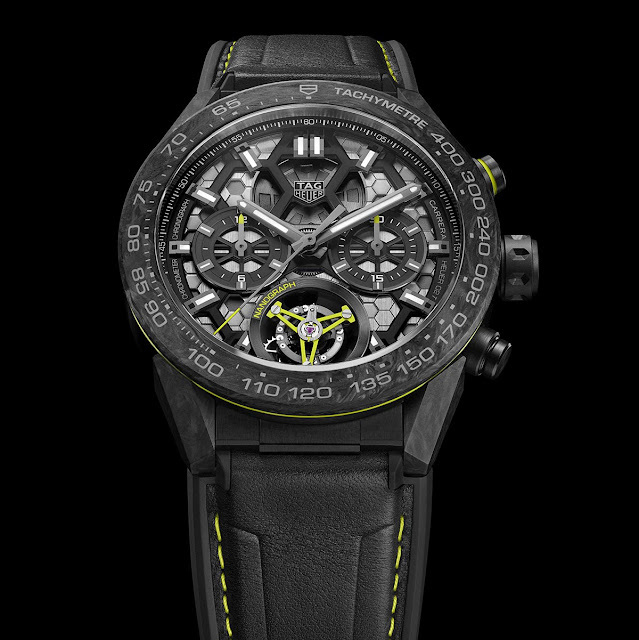 The 45 mm case is made of black PVD titanium while the bezel with tachymeter scale and the lugs are crafted from carbon. 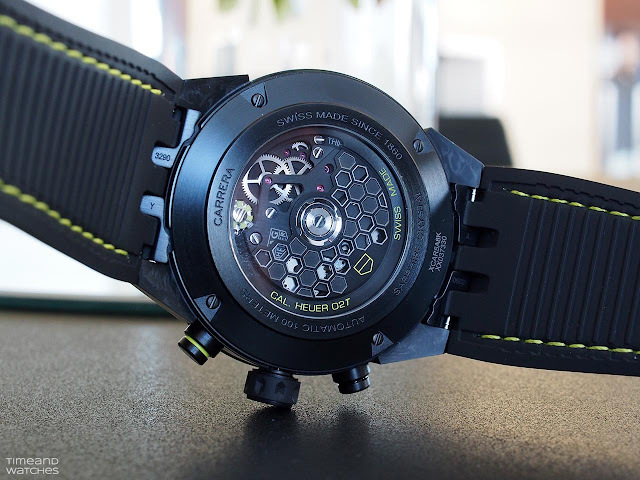 Completed by a black calfskin leather and rubber strap secured by a black PVD titanium folding clasp, the Nanograph is water resistant to 100 metres / 330 feet. TAG Heuer Carrera Nanograph. 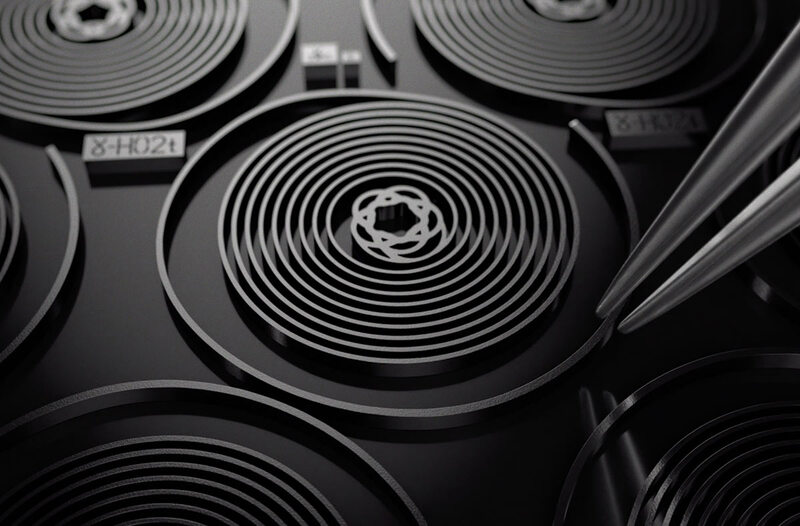 Last week, TAG Heuer unveiled its latest innovation: a hairspring made of a carbon composite invented, patented and produced by the Swiss watchmaker. The new TAG Heuer Carrera Calibre Heuer 02T Tourbillon Nanograph ref. CAR5A8K.FT6172 has a price of Euro 23,200 / US$ 25,200. The first-ever carbon-composite hairspring has been integrated in the new Carrera Calibre Heuer 02T Tourbillon Nanograph, a 500-piece automatic chronograph which is fitted with a tourbillon mechanism and meets the official standards for classification as a chronometer.